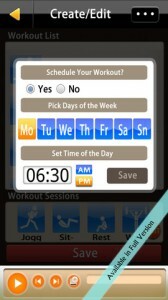 Workout Organizer is an iPhone app developed by Genbu Studios. 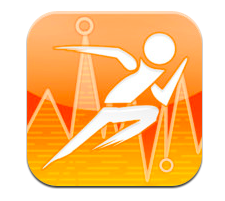 If you need a simple way to track exercise, fitness, and weight, this is the app for you. The developers at Genbu Studios set out to make a fitness app that looked and felt like a music player. 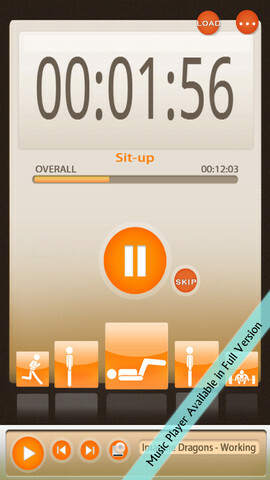 To that end, Workout Organizer allows users to build fitness “playlists” for exercises. 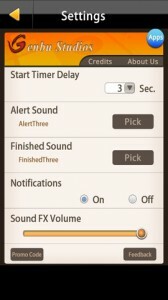 In this version of the app, you are limited to three playlists. Because of the “music player”-like nature of this fitness app, you can use “play” or “skip” icons to start your fitness playlists in Workout Organizer. If you want to vary your routine, this skip feature is key. If you want to have more than three workout playlists, or incorporate certain workout exercises into your playlists, you’ll need to upgrade to the full version of the app via in-app purchase. This will set you back $1.99. One thing that is interesting about Workout Organizer is its weight calculator. When you plug in your weight and height, you also plug in your gender to give you more specific results. Rather than giving you a BMI (because honestly, who knows what their BMI means without looking at a chart), Workout Organizer simply tells you how many pounds overweight/underweight you are. This straightforward display gives you a goal to work towards immediately. 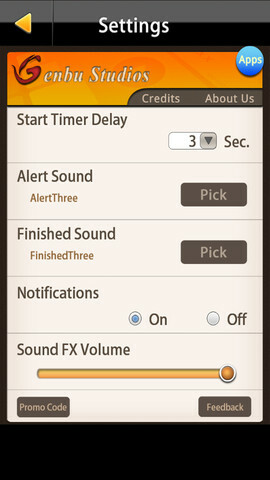 Overall, the interface is pretty bare bones. That’s a good thing, however. It is simple to navigate around this app, which is good: nobody wants to struggle with an interface when they’re getting their sweat on. 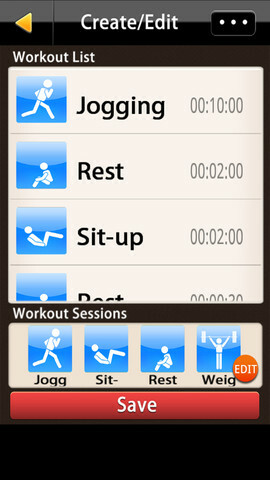 If you want a new workout app, Workout Organizer is worth investigating. 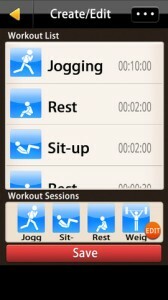 Workout Organizeris compatible with iPhone 3GS, iPhone 4, iPhone 4S, iPhone 5, iPod touch (3rd generation), iPod touch (4th generation), iPod touch (5th generation) and iPad. Requires iOS 4.3 or later. This app is optimized for iPhone 5.